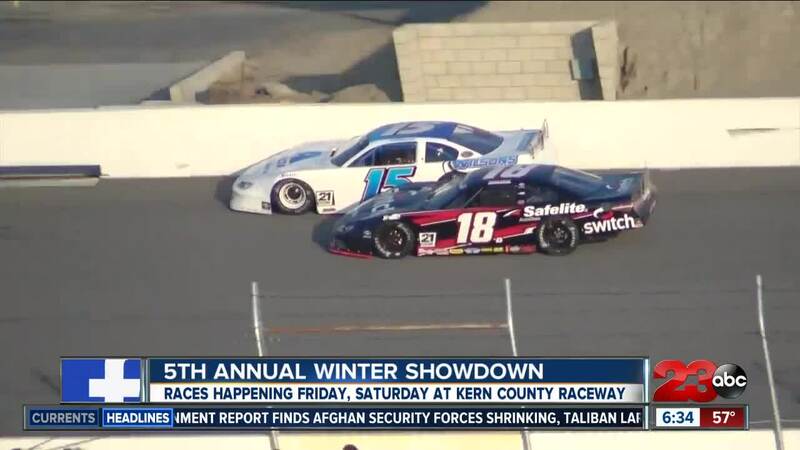 The 5th Annual Winter Showdown at Kern County will be taking place at the Kern County Raceway between January 31 and February 2. BAKERSFIELD, Calif. — The 5th Annual Winter Showdown at Kern County will be taking place at the Kern County Raceway between January 31 and February 2! The Winter Showdown is a 300-lap race with over $150,000 on the line. This includes $3,000 to start and a $30,000 check for the race winner. General admission tickets are $15, Reserved tickets are $20, Juniors (Ages 6 to 15) is $10 and kids age 5 and younger are free.